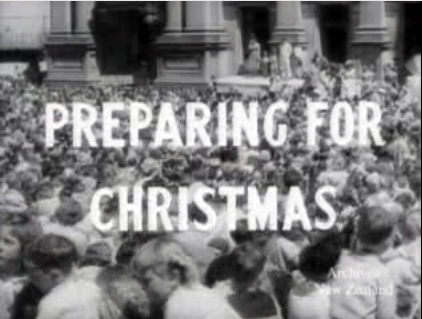 The first half of this film shows thousands of people attending a Christmas parade in Wellington in 1958. Santa arrives on a float decorated as a ship called ‘the spirit of Christmas’. The second half of this film show a life-sized nativity stable being built in Taihape. It is visited by people from all over the district.